Even as the nation remains transfixed with the controversy surrounding Arun Jaitley’s role as the head of the scam-hit DDCA from 1999 onwards for a period of 13 years, it has now come to light that the Central Information Commission by a majority of 2:1 vide judgment dated 13.04.2015 has deferred for consideration the question as to whether the DDCA would be a public authority within the meaning of section 2(h) of RTI Act. The CIC adjourned the matter sine die in view of the fact that the decisions of the Central and State Information Commissions, declaring certain entities as public authorities under Section 2 (h) of the RTI Act, primarily on the basis of allotment of land by the appropriate government at highly concessional rates, have been either stayed or in one case set aside by High Courts. The CIC by its majority verdict left it open for the parties to agitate the matter before the Commission again after the superior courts have pronounced their decision. However, in a powerful dissent, Information Commissioner M.Sridhar Acharyulu slammed the DDCA for being “not responsive, manipulative and misinterpreting everything to their advantage and winning the consent of different bureaucrats who dilly dallied with file movement over years and years” and also the higher officers of the Ministry for not being serious while dealing with a big stretch of highly valuable land under the control of DDCA. The proceedings before the Full bench of the 3 commissioners of the CIC arouse out of a reference made by it by one of the Information Commissioners, M.L. Sharma, on a complaint preferred by RTI activist Subash Chandra Agrawal on 8.6.2012 stating that there was no response from the DDCA to his RTI petition dated 30.4.2012 seeking details about a) land provided to stadium of DDCA at Feroz Shah Kotla Ground, b) title, ownership/lease/freehold/rent, rate of rent, subsidy given, other facilities, security, etc. provided by Government or state resources, c) activities undertaken, eligibility criterion for enrolment of membership of association, total number, various categories, d) number of voters, e) powers and facilities available to office bearers, f) number of mailed envelopes containing proxy-forms returned undelivered, g) number votes received at elections held last, h) system of distribution of complimentary tickets/passes during several matches conducted by BCCI and IPL etc, i) number of envelops with such passes for matches held till 30th April 2012, along with, j) envelopes returned undelivered, k) utilization of seats fell vacant due to return of complimentary tickets, l) relationship of DDCA with BCCI, etc and m) any other related information along with file-notings on movement of the RTI. Mr. Agrawal had contended that the DDCA is a Public Authority under section 2(h) of the RTI Act because it is substantially financed by the Central Government in as much as a plot of land measuring 14.281 acres at Ferozshah Kotla has been allotted to it on temporary basis for a period of 33 years w.e.f. 1.4.2002 and DDCA is required to pay license fee @ Rs. 5,500/- per acre per annum for the open space and at the rate of 5% per annum @ Rs. 88 lacs per acre for built up area, revisable after every 11 years on the basis of land rates prevailing at that time. The land is located in the heart of the capital city of Delhi and the fee structure grossly falls short of the prevailing market rates and this can be construed as indirect substantial financing of DDCA. On behalf of complainants, Lok Sabha MP Mr. Kirti Azad, former test cricketer and member of World Cup winning team in 1983, presented several points points explaining the concessions granted by Government, controls exercised and made serious allegations of irregularities against the DDCA. 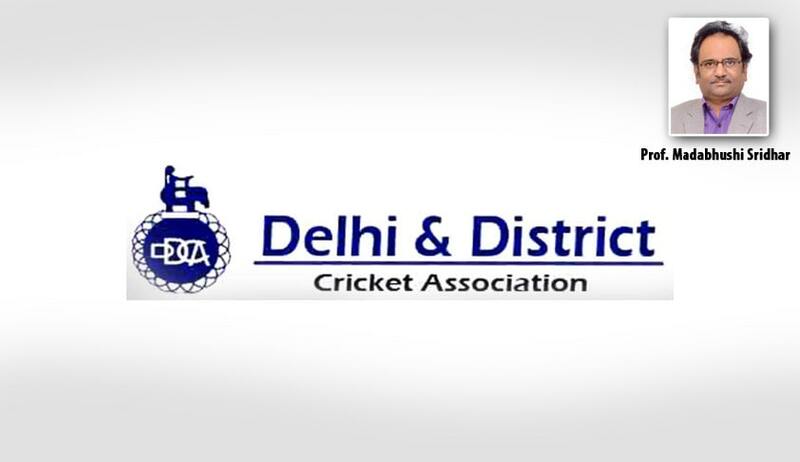 It was further contended by the complainant that the DDCA had government nominees on its Board of Directors, it got exemption from Entertainment tax, and Income Tax, besides it was holding IPL with its own team - Delhi Dare Devils, which are attributes that characterize DDCA as ‘public authority’ under RTI Act. Per contra, on behalf of the DDCA, it was contended that it is not enjoying Government land at concessional/minimal rates, it is paying Rs. 24,64,415/- per annum as yearly lease rent to the Central Government and it does not enjoy exemption from Income Tax. The land allotment is also subject to the approval of lay out plan by ADG (Arch), CPWD and it is required to use the land only for the purpose for which it has been allotted and not for any other purpose; that DDCA is not an authority of self Government established or constituted either by or under the constitution or by any other law made by the Parliament or State Legislature; that DDCA is neither owned nor controlled by the Government, that the DDCA is not a body or institution which is essentially financed by the Government; and further that DDCA is not in receipt of any grants from the Government or any of its instrumentalities and that its affairs are managed by self generated funds and the grants of BCCI alone. On a perusal of the material produced before it, the CIC opined that the DDCA’s working is not transparent and there are serious shortcomings in its governance process. The CIC also found that the DDCA has carried out extensive illegal construction in violation of terms of lease of the land as brought out in the inspection report of L&DO officials. However, the majority refrained from answering the issue or deciding the case, in view of the fact that the decisions of the Central and State Information Commissions, declaring certain entities as public authorities under Section 2 (h) of the RTI Act, primarily on the basis of allotment of land by the appropriate government at highly concessional rates, have been either stayed or in one case set aside by High Courts. However, Information Commissioner M.Sridhar Acharyulu made bold to declare in his dissenting judgment that the DDCA, though an NGO, is being substantially financed by appropriate Government indirectly through allocation of huge land in heart of New Delhi with substantial concession worth thousands of crores of rupees and monopoly of unlimited value, is the Public Authority as defined under section 2(h) of RTI Act, on both questions of law and facts. In Page 15, there is a reference to allotment and one nominee each of the Ministry of Works, & Housing (Now Urban Affairs & Employment), Department of Youth Affairs & Sports and Sports Authority of India on the Managing Committee of the DDCA, signed on 5.2.1999. Rates for built-up area and open space are discussed at Page 49. File notes on Page 56 refers to unauthorized construction and misuse of the property by DDCA noticed. DDCA offered to pay damages for the same. Page 71: Ministry of Urban Development referred to request of DDCA to consider the area under the ‘Stands” for spectators as ‘open area” to enable them to get the benefit of reduced rate of license fee for ‘open area’. Page 113: refers to the Secretary, m/o UD wherein he has requested to instruct the DDCA to cancel the lease deed agreement in respect of Corporate Boxes with various Corporate Houses. 29.11.2007. Page 117: Field staff inspected the premises on 21.1.2008 and they have reported the breaches (21.2.2008). This note also notes that the DDCA has not responded to three reminders of Ministry in 2007 for furnishing document/sanctioned building plan. Page 121: Dy. No 1161/L-II-B dt 20.8.2009 says: ...that DDC was allotted land measuring about 14.281 acres on temporary license basis at Ferozshah Kotla Cricket Grounds for use as Club House and Cricket Ground vide allotment letter dated 13.2.1986 for a period of five years at a premium of Rs 400/ per acre annum for an open area measuring 12.935 acres (Rs 1554/- per annum) for the entire open area and a license fees at the rate of Rs 7920/- per annum for built up area of 1.346 acres with some terms. Page 158 shows that finally an inspection happened on 19.8.2013. Pages 170 to 174 contains Calculation Notice to DDCA dated 1.11.2013 containing 13 unauthorised construction related findings in one set and 39 in another set both signed on 6.11.13. Pages 177/N to 180/N reflect several breaches of conditions and demands running into several lakhs of Rupees. On 7.1.1997 amount of damage charges demanded was Rs 21,14,781/-, interest @10% PA on the above amount from 7.1.1997 to 31.12.2013 Rs 35,91,651/- plus several damage charges on around 45 counts. This was signed on 21.11.13. 2. the D&LO to secure compliance of all conditions in the lease deed including collection of charges and damages running into crores of rupees as calculated by its department ignoring pressures if any, and take necessary action as per law for breach of conditions, if found. “a) the General Secretary of DDCA to show cause why penalty cannot be imposed against him for not furnishing the information as sought by appellant/complainant within 21 days from the date of receipt of this order.